The Frogmore family learns together, going above and beyond to create the conditions in which everyone can flourish. We care about, inspire and challenge each other so that we can all achieve excellence. Frogmore Community College is a very special place and this website will only give a flavour of this. If you are a prospective family or wish to work here, I actively encourage you to visit us. Our students are our best ambassadors and they would love to show you around and give you a much better sense of why we are so proud of our school. At Frogmore Community College we believe that every child can flourish given the right environment, support and challenge. As a relatively small school, we are able to take a personal interest in the achievement and well-being of every individual. Every student is assigned to one of our three houses. This, coupled with vertical tutor groups, builds a powerful sense of family and belonging. Relationships between students across all years are quickly formed and senior students act as role models and leaders. Ormond House prides itself on the integrity of its students as well as the drive to achieve the very best in everyone. Our motto ‘make a difference today’ encapsulates the idea that any contribution made by students and the school community, however big or small, can influence any outcome. 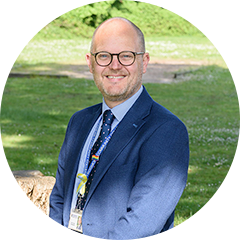 This is particularly relevant in terms of how Ormond House works as a team, evident in our high levels of attendance as well as participation in activities in the wider school curriculum. Recognisable by our yellow ties and sporting achievements, Ormond values its members and supports everyone in their ambition to be the very best they can be. We are named after the charity Macmillan Cancer Support. Identifiable by our red house colours, we pride ourselves on ‘Setting the Standard’. We in Macmillan believe in getting the small things right and, when this is achieved, excellence will follow. Macmillan House care about the wellbeing and happiness of each person at Frogmore. We have a relentless focus on kindness, respect and high standards, be it uniform, classwork or good manners. Macmillan students are expected to set a high standard in order to inspire others. Tuckwell are a supportive, loyal and caring group of people. There is a very strong family feeling amongst all the staff and students, as well as a very competitive one when it comes to House events. We strive to help each member of the House to achieve their full potential. We have proudly supported the Phyllis Tuckwell Hospice since the beginning, helping them to raise funds for the invaluable support and care that they provide their patients and families. Art and photography allow students to investigate their senses to create responses to the visual world. Students develop critical thinking skills, the ability to take calculated risks and aesthetic awareness. Art and photography give students confidence and stimulate creativity and imagination. We aim to equip students with essential IT skills for their future and to develop wider knowledge in computer science. IT skills are fundamental to the daily life of young people today, which means it is crucial that these skills are established to provide a solid foundation. Technology is also changing at a vast pace; having an understanding in computer science provides a door to unknown possibilities in the future, where students can become contributors rather than consumers of IT. The design and technology department strives to create a learning environment that is conducive to an inquisitive and imaginative mind. The department likes to help the students develop their imagination and creativity across a wide range of technology disciplines within superbly well-equipped specialist rooms. The English curriculum at Frogmore is designed to challenge, engage and nurture our students. Throughout years 7-9, students develop the skills they need to tackle difficult and inspiring texts with confidence and certainty. Our priority at key stage 3 is to encourage a love of reading and writing, based entirely on the crucial skills they will need as they continue to key stage 4. 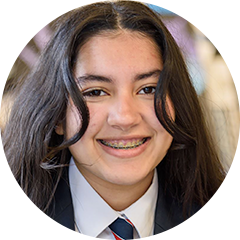 At Frogmore, we very much believe in the importance of a challenging and diverse curriculum which allows students to enjoy English whilst striving to meet a high level of challenge. 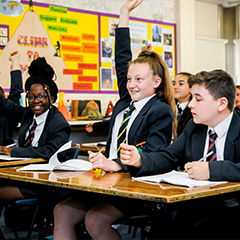 All students at Frogmore study history, geography and RE throughout key stage 3 and a large proportion continue to GCSE in at least one of the disciplines. As a faculty we strive to help students develop a curiosity about the world, its people and its past, which will last a life time. We embrace this philosophy and constantly adapt lessons in response to the dynamic world in which we live. Independent skills and team work are actively encouraged, all the while focusing on developing a secure knowledge base and the ability to express this with confidence and clarity. We support each student to make maximum progress within a climate of tremendous positivity. 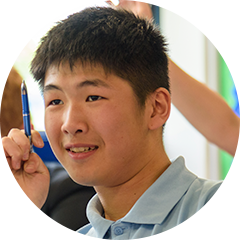 Students enjoy maths and are empowered to feel confident in tackling increasingly difficult concepts. We cover all core skills to support students with real life maths and an introduction to GCSE topics. In maths, students progress to studying the GCSE content from year 9. From this point up to year 11, students cover all aspects of GCSE maths including number, algebra, shape, data, ratio, proportion and probability. As part of the communications faculty, we are passionate about promoting modern languages and encouraging students to become lifelong language learners, starting with a strong foundation in both French and German. Through focusing on the skills of listening, reading, speaking and writing, students become confident communicators, whilst developing an appreciation of other people and their cultures. The philosophy of the physical education department is aptly summed up in the familiar slogan ‘Sport for All’. Physical education is an important subject in the development of young people. It enables them to develop a wide range of skills including communication, teamwork, leadership, analysis, understanding of tactics and strategies, personal endeavour, decision making and knowledge of a wide range of sports. We seek to promote all aspects of PE and encourage our students to develop physically, personally, socially and morally. Personal, social, health and citizenship education is delivered to all students as an integral part of the tutorial programme. As well as a vibrant programme within the vertical tutor group sessions every morning, on Fridays students work within their year group on specific PSHCE topics. We encourage discussion and active engagement by all so that the most pressing issues of the day are addressed and students are empowered to make healthy and informed choices. Within the performing arts faculty we aim to introduce students to the art of performing, creating and analysing within dance, drama and music. Students study all three disciplines in key stage 3. We encourage our students to have a go, take a risk and strive for excellence in the arts. To achieve this we offer a range of experiences for students to try different art forms but also deepen and improve their existing skills as performing artists. We believe that science has great relevance for all students and should enable them to function as informed and useful members of society. We are committed to teaching science to all students in a way that engages and challenges them. We place strong emphasis on the development of practical skills as well as improving scientific knowledge. Opening Minds is a skills-based subject delivered to all students in year 7. 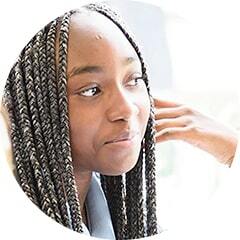 The programme actively supports transition from primary school and seeks to allow students to reflect on and develop their own personal learning toolkit. Leadership, organisation, resilience, initiative and communication are the five areas on which students will focus throughout the year. These personal characteristics then underpin their learning and progress throughout their time at Frogmore.